1995 was the only year that a U.S.-based team claimed the Grey Cup. For some fans, it was a sweet victory. For others, it was an indignity. 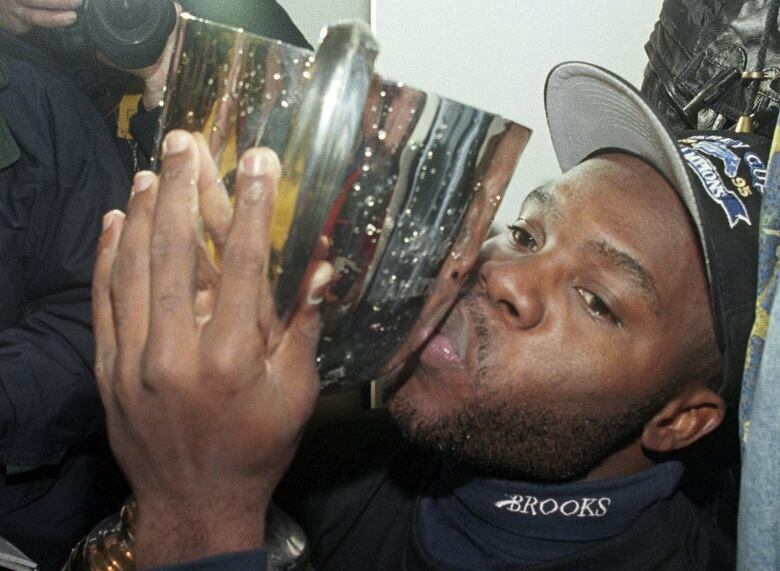 But when the Grey Cup wrapped up on Nov. 19, 1995, it was an American team that had claimed victory. The Baltimore Stallions beat the Calgary Stampeders by a score of 37-20, in front of the 52,000 fans watching from the stands of Regina's Taylor Field. "That's right, they're taking it away!" said one Stallions fan, who was being drowned out by even-more boisterous Baltimore fans who were loudly cheering around her. And did they feel "guilty" about that, when the CBC's Eric Sorensen asked them? "No!" a group of Baltimore fans said emphatically. Most fans cheering for Calgary who CBC News spoke to seemed surprisingly fair-minded upon seeing the Canadian side defeated. "If they're going to participate in the league, they should be entitled to all the benefits of it," said a man wearing a Stampeders cap that was squished on top of a brimmed trapper hat that was presumably keeping him warm. A man who wore a Hamilton Tiger-Cats tuque said the loss "won't ruin my life or anything," a remark that may have left some viewers with the impression that he was more upset about the outcome than he was claiming. Baltimore had won the league's championship in just its second season in the league — and yet despite that achievement, the Stallions would not ride that success into further championships. The Stallions franchise ended up being relocated to Montreal, as a new NFL franchise was coming into existence in Baltimore. The repatriated CFL franchise is now known as the Alouettes. 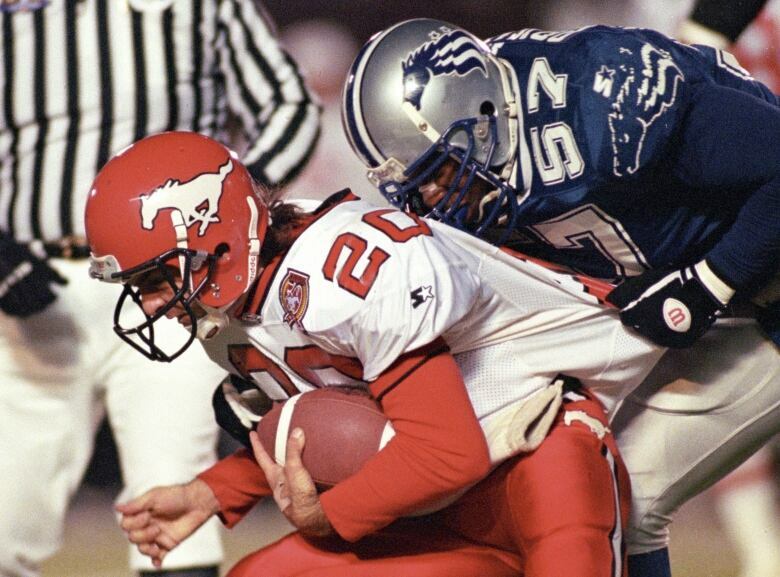 To date, the Stallions remain the only U.S.-based team to win the Grey Cup. And with no American teams in the CFL at the moment, that record seems fairly safe — for now.